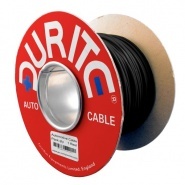 Single core, 1mm² thin wall automotive black with a green tracer PVC sheathed electric cable. 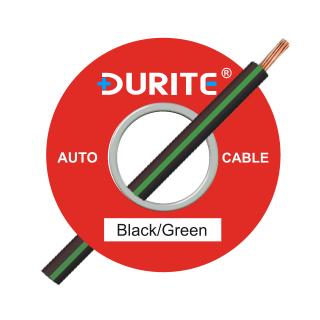 1.00mm² black-green (black cable, green stripe). 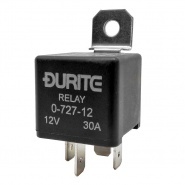 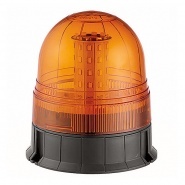 100 Metre rolls of light duty 16.5A black with a green tracer line auto electrical thin wall cable, used for light current loads; thin wall configuration increases current load capabilities to a maximum of 16.5 amps continuous. 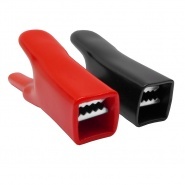 With a reduced but harder PVC coating, thin wall cabling is modern by design and adopted for wiring looms and trees with modern vehicle manufacturers. 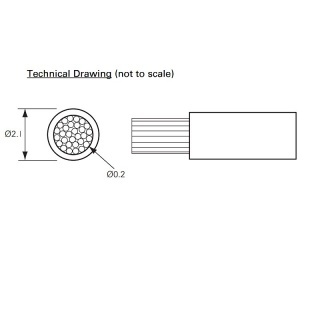 Durite thin wall electrical cable manufactured to ISO 6722-4 industry standards, reduces the weight and volume of vehicles cable looms and has good overall resistance to petrol, diesel and lubricating oils.